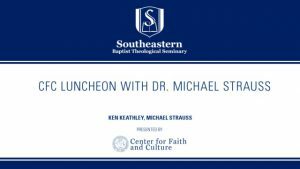 Michael Strauss, Experimental Particle Physics Professor at the University of Oklahoma, answers questions that pertain to Science and Christianity. 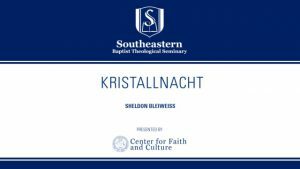 The Southeastern Seminary Center for Pastoral Leadership held a breakfast on Saturday morning, September 29th. 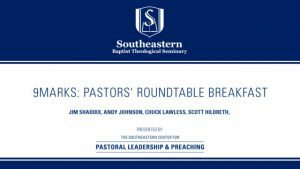 There was a panel discussion with Dr. Jim Shaddix, Dr. Chuck Lawless, and other 2018 9Marks speakers who will cover a variety of topics and questions relating to the work of pastoral ministry with global missions. 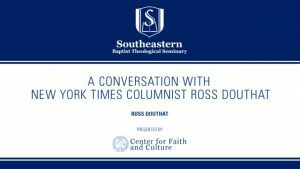 Ross Douthat is a New York Times op-ed columnist who writes about politics, religion, moral values and higher education. 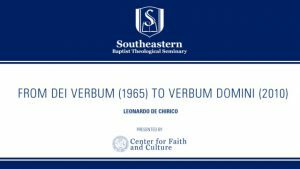 His columns appear each Wednesday and Sunday in The New York Times. 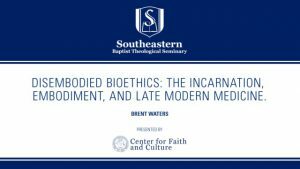 Brent Waters – Disembodied Bioethics: The Incarnation, Embodiment, and Late Modern Medicine. 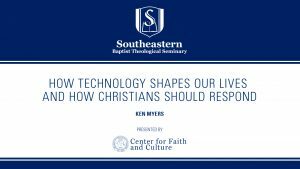 Dr. Walters is this year’s Drummond-Bush Lecture for the Center for Faith and Culture at SEBTS. 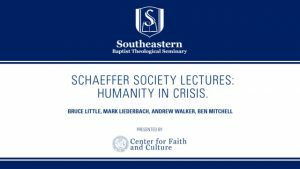 Michael Ward, Senior Research Fellow at Blackfriars Hall at the University of Oxford, presents a lecture titled, “C.S. 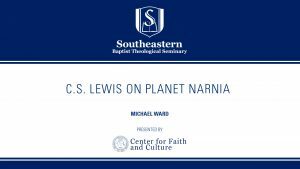 Lewis on Planet Narnia” hosted by the Center for Faith and Culture at Southeastern Seminary.